I'm a Games Journalist or I work in the Games Industry. Gameleon.net is the online B2B networking hub for members of the videogame industry´s press corps and other games related professionals. 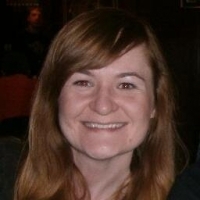 If you are a games journalist or if you work in the games industry and wish to connect with Agnieszka Szostak, you are invited to create a Gameleon.net profile and keep track of thousands of other games writers, publishers, PR gurus and developers.